The Home Care Package programme is funded by the Australian Government through the Department of Health. The subsidy is paid to the Provider on behalf of the consumers’ package. The Government also has an expectation that consumers, where they are able to, will make a contribution towards the cost of their package. The legislation states that a provider can ask a consumer to contribute up to 17 ½% of the single pension equivalent, and while many providers do ask for that level of contribution Parkglen Home Care Services will always negotiate a contribution towards the package with consumers that they can afford. In some cases of financial hardship, the co-contribution may be waived. Parkglen Home Care Services would never deny access to a Home Care Package if a consumer was unable to contribute to the package. If you are a part pensioner or self-funded retiree the Department of Health will ask you to undertake an income means test to ascertain if you will be required to pay an additional income tested fee. If you are eligible this fee is deducted from your subsidy. There are lifetime caps on the amount of income-tested fees an individual can be asked to pay. If your services are not covered through a Government-funded home care package, you can receive your services on a private fee-paying basis. There’s no waiting list, we can see you straight away to organise the right plan for you. 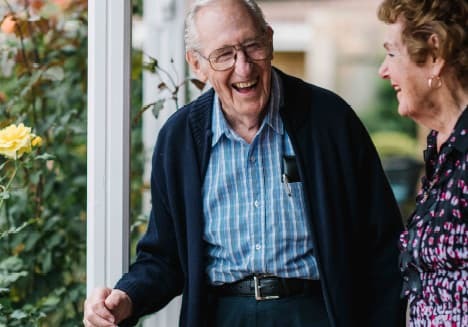 If you have a family member or friend as a carer, Parkglen Home Care Services can also offer in-home respite care to give them a rest from time to time. Please find our schedule of fees from November 2018 here.